The boat’s cabin (with optional A/C and heat) has a V-berth with a removable dinette table, a full galley, solid cherry cabinetry and an enclosed standup head with a shower. The V-berth’s backrests double as bunks to sleep as many as four people. 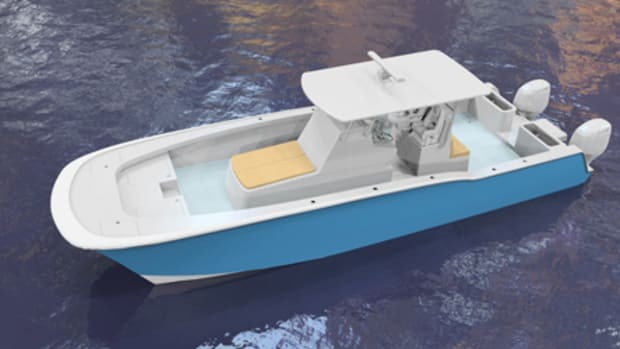 “Albemarles are certainly known for their ability to run offshore and fish hard, but we’re providing the complete package so the family can be comfortable, as well,” says Haigler. 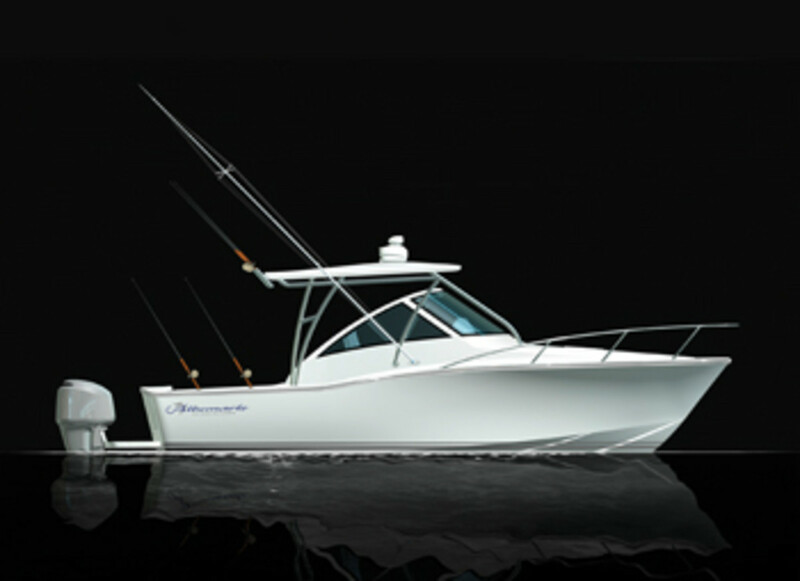 I checked out the 29 Express at the Fort Lauderdale International Boat Show this past November. 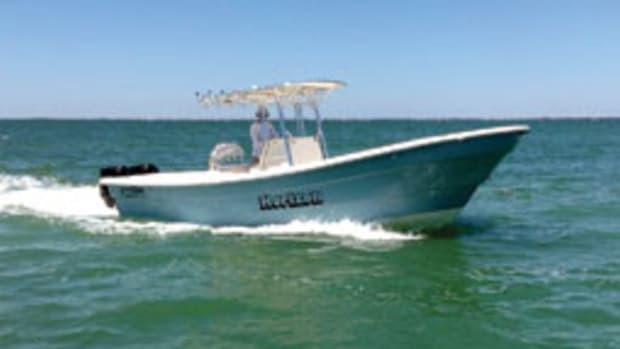 The view forward from the starboard-side helm is through a single-pane windshield with a molded fiberglass frame. Abaft the helm chair is a rigging station; an outdoor galley is an option. A two-person companion seat and a mezzanine-style, two-person settee are back-to-back on the port side of the bridge deck. 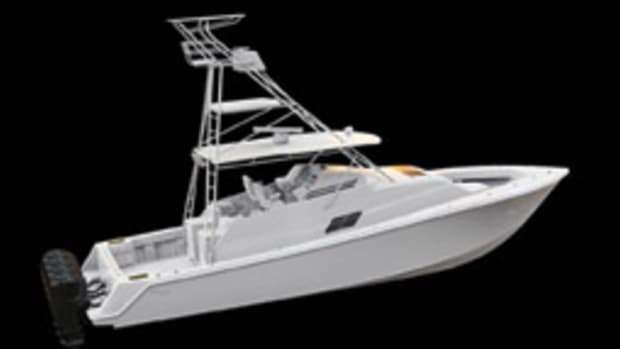 Albemarle devotes plenty of real estate to fishing with a wide-open, 64-square-foot cockpit, which has twin 56-gallon fishboxes in the sole and a raised 30-gallon live well on centerline aft. A door in the starboard side of the transom leads to the engine bracket and twin Yamaha F300s or F350s. 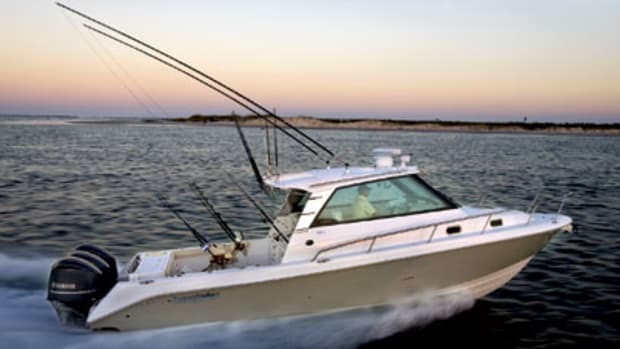 With F350s, the boat cruises at about 38 mph and gets 1.14 mpg, for a range of about 330 miles using 90 percent of its 320-gallon fuel supply. Top end is 58 mph. 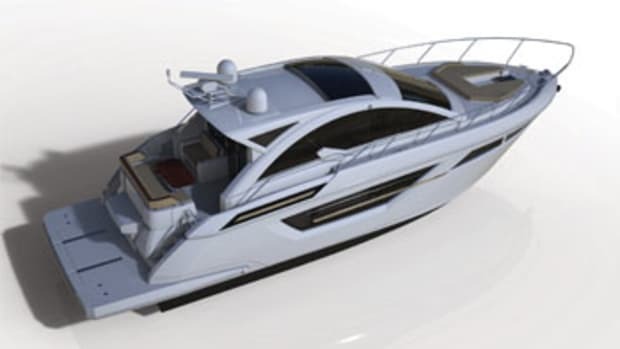 Deep-vee specialist Lou Codega designed the 29 Express, as well as the 25 and 32. 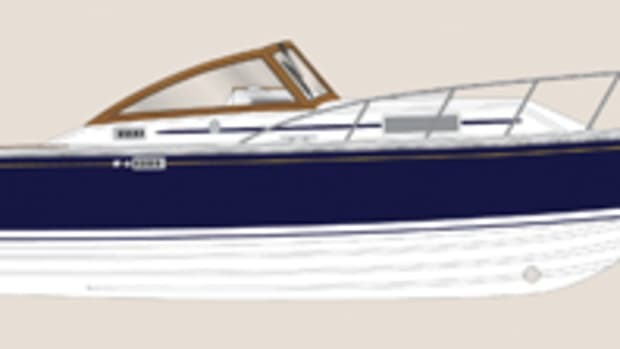 Albemarle boats have hand-laid solid-glass bottoms and cored hull sides. 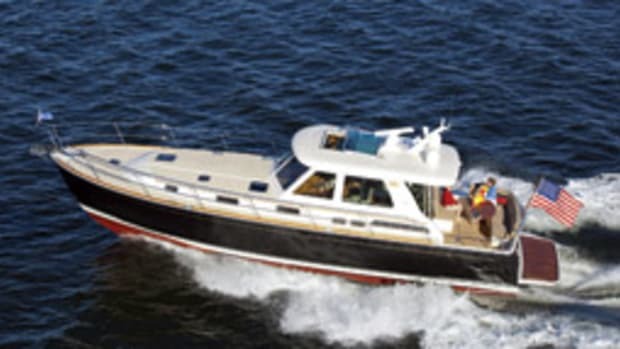 The builder’s fleet consists of six express models from 25 to 41 feet and a 41-foot convertible. 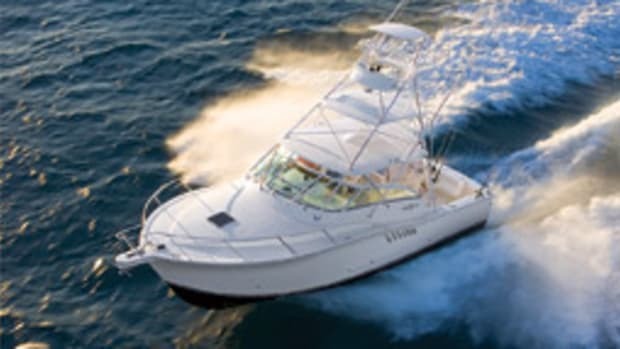 Founded in 1978, Albemarle added outboard models, beginning with 25- and 27-footers, to its inboard and sterndrive offerings a few years ago.